Specialty drugs are special not only in functionality, but in price, too. Just one month’s supply of a state-of-the-art treatment for a complex, potentially life-threatening condition like multiple sclerosis, rheumatoid arthritis or hepatitis C can easily run thousands of dollars. CVS Caremark has estimated the average monthly costs for this loosely defined class of medications at $3,000, or ten times the usual amount for non-specialty prescriptions. While insured individuals foot the bill for only a fraction of these amounts – in 2014, pharmacy benefit manager (PBM) Express Scripts found patients with annual pharmacy bills over $100,000 paid only 2 percent of the total – the costs are ultimately passed on to everyone in the form of higher premiums. 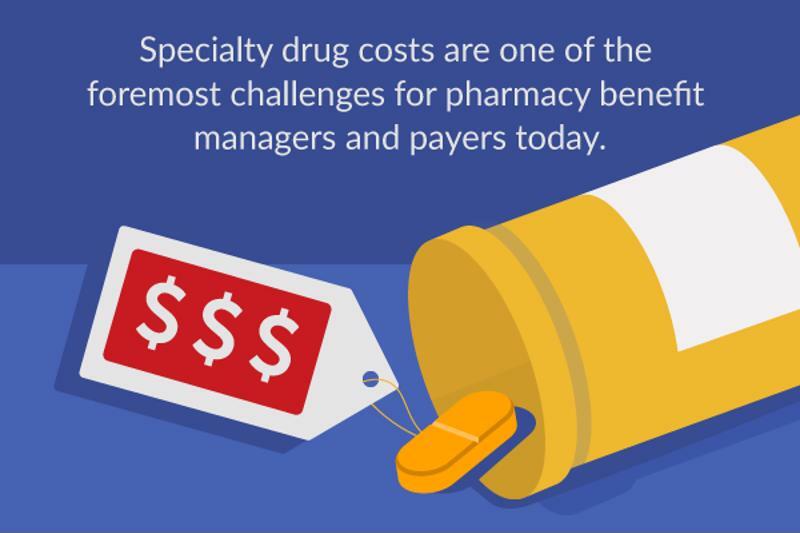 That makes still-escalating specialty drug costs one of the foremost challenges for PBMs and payers today. CVS Caremark has estimated the average monthly costs for this loosely defined class of medications at $3,000. Require special administration (e.g., injection) by a healthcare professional at a clinic or doctor’s office. Be the only effective treatments for certain diseases and, even at their high sticker prices, be less costly than a typical hospital stay for those conditions. Have been derived from living cells (biologics), which can result in unique requirements during initial manufacturing and subsequent handling. Be governed by complex PBM contracts for distribution and rebates, with varying definitions of what counts as “specialty” (since this isn’t standardized). Have relatively high R&D costs. Not all specialty drugs are superior to alternative treatments in all cases and to all patients. By collaborating with an independent review organization (IRO) like Advanced Medical Reviews, payers can be sure that treatments align with recent evidentiary guidelines for efficacy, safety and value. Adherence to a specialty regimen is crucial in ensuring it delivers the expected benefit and helps patients avoid complications that could dramatically increase costs over time. Care management teams within pharmacies or providers can provide useful assistance on this front. The setting where specialty drugs are administered profoundly influences its overall cost. For example, a home infusion is less costly than going to an inpatient or outpatient facility. Aligning medication delivery with specific in-network provider sites is essential in controlling specialty drug spend. AMR, an IRO with significant experience in pharmacy review, is here to guide you through the unique challenges presented by specialty drugs. Take a look at our previous entry on this subject and subscribe to our blog to stay updated.